The Simi Valley Planning Commission plans to rule tonight on whether to allow KB Home to extend its option to build in Runkle Canyon for another five years from 2014 to 2019. KB Home’s Runkle Canyon LLC has been stymied in building 461 homes and condominiums in the 1,595-acre canyon since news broke in 2005 that neighboring Rocketdyne most likely contaminated the property with radioactive and chemical contamination including strontium-90 and trichloroethylene, or TCE. By 2006, a Simi Valley-based citizens group, the Radiation Rangers, formed and created a website StopRunkledye.com to organize resistance to the project. 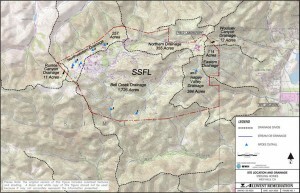 The group’s finding of toxic levels of heavy metals in Runkle Canyon Creek in 2007 also has delayed KB Home’s plans for a huge development hard on the border of the Santa Susana Field Laboratory, or SSFL. According to the Department of Energy, which operates Area IV on land leased from lab owner Boeing, a nuclear meltdown occurred at the site in 1959. Two partial meltdowns occurred at Area IV in 1964 and 1969. Radiological and chemical pollution at the lab, which is at the headwaters of the Los Angeles River, is so extensive that it has been the center of an environmental fight that stretches back to 1989. So it would seem natural that the Westwood-based home building giant would want to quietly obtain the option of another half a decade to build on property adjacent SSFL. After all, the company has over a million dollars to hand over to the cash-strapped city which it dearly would love to have. However, if any Environmental Impact Report, or EIR, has significant new information, new EIR information must be developed and included according to state law. The public meeting subterfuge failed but just barely. Out walking his dog last week, Radiation Ranger “The Good Reverend John” saw a sign posted at the lonesome end of Sequoia Avenue declaring that a public meeting was taking place May 23. 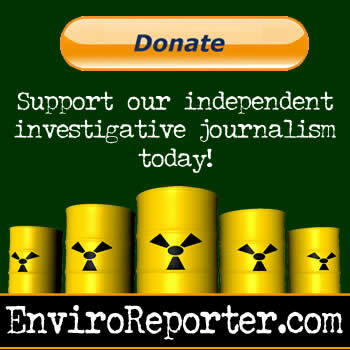 EnviroReporter.com has uncovered evidence that KB Home has attempted to block the federal Environmental Protection Agency, or USEPA, from testing in a windmill well for cattle already known to be polluted by the carcinogen TCE in the highlands of Runkle Canyon. This denial of access to Runkle Canyon comes even as astronomically high levels of Rocketdyne-related contamination has just been found miles away from the lab in a well at the Jewish educational retreat of Brandeis-Bardin Campus at American Jewish University in eastern Simi Valley. The facility is just downhill from the rocket and nuclear reactor complex at SSFL which is slowly being torn down and remediated. Not only has the would-be developer of the picturesque canyon with broad meadows denied USEPA access to retest the Runkle Canyon well for any continued contamination, both it and the city of Simi Valley twice ignored Los Angeles Regional Water Quality Control directives in 2003 and 2004 to test Runkle Canyon Creek for pollution under the aegis of the Clean Water Act. Runkle Canyon’s so-called “blue line” stream is part of the Calleguas watershed which is listed under the act as being impaired. Water from the canyon runs off to the Arroyo Simi where it percolates into the groundwater where it is re-pumped up, blended, and served to over 7,000 residents mostly in the eastern part of Simi Valley. EnviroReporter.com has also learned that an extremely high detection of the radionuclide strontium-90 was recently detected by USEPA in bushes up gradient of Runkle Canyon just across the chain-link fence border of Area IV. That detection of Sr-90, without the usually corresponding cesium-137 signature, seems to confirm 1999 and 2000 developer tests showing high hits of the bone and blood cancer-inducing radionuclide’s presence, something KB Home has been trying to test away since 2007. City and state government officials assert that these retests are more accurate than the plethora of analyses performed by several different labs for the developers. 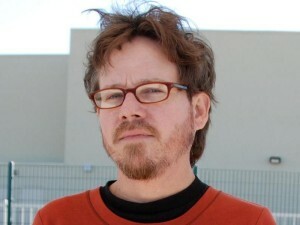 In addition, EnviroReporter.com uncovered evidence that not only were tests for strontium-90 in Runkle Canyon by the city and developers inaccurate and “suspect” according to standards of the Department of Energy, the actual methods used to acquire these suspect results were decades old and not the latest kind of radiation science used to detect radiation in soil. Yet despite this evidence, the state EPA’s Department of Toxic Substances Control (DTSC) signed off on the safety of Runkle Canyon in December 2010 in the waning days of the Schwarzenegger administration. The decision came as a surprise to the community, who had been expecting a response to the hundreds of pages of public comment they had submitted regarding the contamination. Not only did DTSC ignore public comment by sending out an identical response to each commenter which didn’t answer their questions and concerns, the department relied on shaky science that led to its fateful decision. DTSC honchos trumpeted falsehoods about the environmental realities of Runkle Canyon to local media at the time giving residents the impression that there existed no toxic threats posed by the site’s conditions. Shoddy city and developer testing along with new EPA radiation findings devastate the notion that Runkle Canyon is free of radioactive and chemical pollution caused by the adjacent Rocketdyne lab. 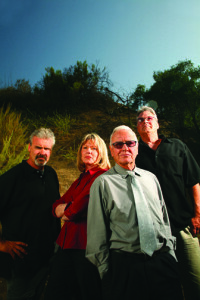 Perhaps just as troubling is the continued pattern of the city of Simi Valley, Runkle Canyon’s developers and the state of California to dismiss the residents’ repeated, and backed up, assertions that Runkle Canyon is polluted by the neighboring property which has an 11-acre drainage into the canyon. Residents like the Radiation Rangers had hoped that KB Home would abandon its plans to build on land so troubled by environmental concerns. But the end-around push to develop Runkle Canyon ignoring municipal and state law based on outdated and suspect science has made it clear that the community is on its own. It will have to attempt to protect itself from, among other consequences of construction, over 112 tons of strontium-90 impacted dust being launched into the air that will land on both the Simi and San Fernando valleys. The Radiation Rangers and longtime Rocketdyne cleanup activists have drawn a line in the sand. 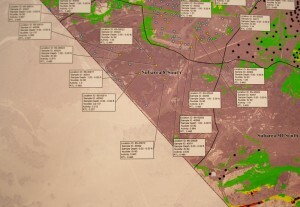 That line may be breached tonight if the Simi Valley Planning Commission signs off on one of the most controversial development projects Southern California has ever experienced. The Runkle Canyon windmill well is several hundred yards from the property line of Area IV of the Santa Susana Field Laboratory in the hills between the Simi and San Fernando valleys. At over 2,000 feet elevation, the well has been used to water cattle that have grazed on the land intermittently for decades. 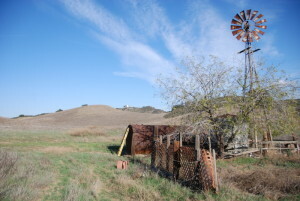 The slope on which the Runkle windmill site sits drains into the Upper Las Virgenes Open Space Preserve, or Ahmanson Ranch. The ranch also was a target for development over a decade ago when then-existent bank Washington Mutual had endeavored to build thousands of luxury homes also on land adjacent Area IV and Rocketdyne’s so-called southern buffer zone. That project when belly-up when, in 2002 for the LA Weekly newspaper, this reporter questioned the makeup of the 660,000 gallons of groundwater that “WaMu” planned to use daily to water parks, common areas and the proposed golf course. One water test came back positive for perchlorate, a rocket fuel oxidizer that is toxic and targets the thyroid making it especially dangerous for children and pregnant women. That was the beginning of the end for the Ahmanson Ranch project. WaMu donated the land to the state of California in October 2003 for $150 million, a fraction of what the $2 billion development was potentially worth. The acclaim for this environmental victory stands in stark contrast to the verbal bloodbath unleashed by the fighting over Runkle Canyon in the last seven years. 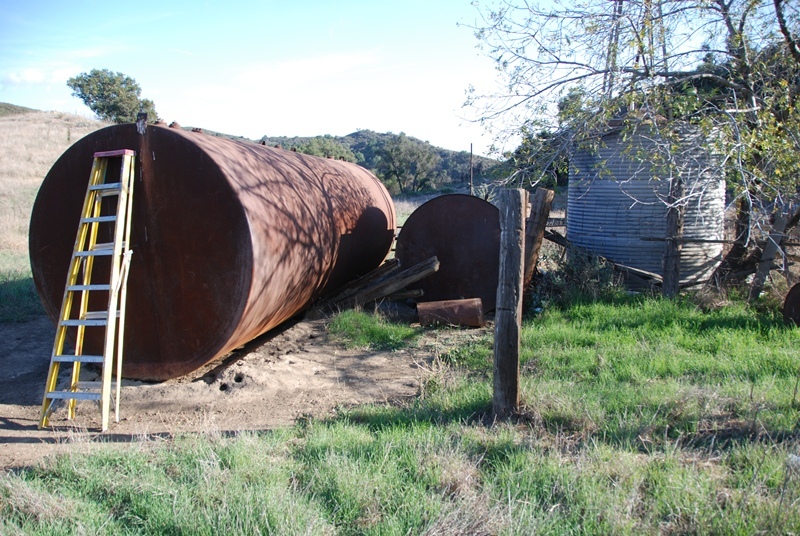 Today, downhill from Runkle’s windmill well, Ahmanson Ranch’s stream water has the same chemical sheen that Runkle Canyon Creek water does, creek water that tested high for arsenic, nickel and vanadium by the Radiation Rangers in 2007. The city of Simi Valley retested the creek two months later and found even higher results for toxic heavy metals in the ephemeral stream yet, oddly, proclaimed in the local press that their results came back clean. Next to the well are dozens of 55-gallon drums that appear to have contained solvents or some other kind of toxic material that have been illegally dumped on the site and left to corrode. The contents appear to have burned the outside skins of the barrels and the grass around them. Most striking, however, are two giant metal tanks, one of which used to hold 8,000 gallons and still has its metal label intact: UNDERGROUND TANK FOR FLAMMABLE LIQUIDS. The massive tank is tipped towards the windmill well with tubes running from its top into the substrata clearly to pour the contents into the well. Wow, and to think I used to ride bikes as a kid down Peppertree Lane to the Brandeis Institute. How many more citizens have to get sick or die before something is done about this! Thanks so much! If only if KB home will just look and find it. Thanks Michael for staying with us during this fight,even though sometimes it seems it is like banging your head against the wall. Norm ‘Shenanigans’ Riley also disgusts me. His ‘science’ has been repeatedly debunked as nonsense. I hereby question his motive and design. Good on you Michael, Rev. John, Terry, Frank, Patty, and Bill for all your investigative efforts. This toxic abyss of unimagined depths amazes — deliberately dumped liquid wastes into wells that feed directly into the water table below the mountain. Radioactive contamination has been found miles away in places such as Chatsworth Reservoir. The long term fate of the huge aquifer is in jeopardy. ‘Waste Holdings’ were shipped in from offsite. How many millions of Curies of transuranic waste? Contaminated soil poses a threat to the community’s water table. Responsibility of the felon-polluter is to either prove that dangerous concentrations of waste never reach the groundwater (and water table and aquifer) or to act quickly to sponge up percolating poisons. Since the former fails the sensible science test, the quickness of clean up, then, is at issue. Being ‘quick’ is not the same as how fast the polluter desires to cut and run. Beware the repeat of shenanigans in the form of paid corporate experts trying to bamboozle the public at meetings. Advice: do not buy into their incomplete science, question everything, and investigate independently to verify the tangled web big money tries to weave. The frightening thing is nothing has been cleaned up. There is paper pushing, but nothing is being accomplished. I am disgusted by how little actual cleanup action is underway here. 90Sr, 90Y, 89Sr, are in Runkle for at least one reason, that being because Radioisotope Thermoelectric Generators (RTGs) were created as part of Systems for Nuclear Auxiliary Power (SNAP), “a joint project of the U.S. Atomic Energy Commission and NASA”. There were several SNAP mishaps at Rocketdyne. Getting out some hot Runkle jam would spark heightened interest in clean up. May 28, 2012: Bluefin tuna caught off of San Diego in August 2011 tests positive for cesium 134 and cesium 137 radiation, isotopic identifiers with the Fukushima Daiichi triple meltdowns polluting the Pacific. Rense and Collins discuss the implications as the amount of highly-poisonous radioactive water from Fukushima pours at least 1,000 tons of contamination into the ocean daily leading to bioaccumulation now seen in some of the top of the food chain marine creatures. Thank you Michael Collins for your excellent reporting. Keep it up. 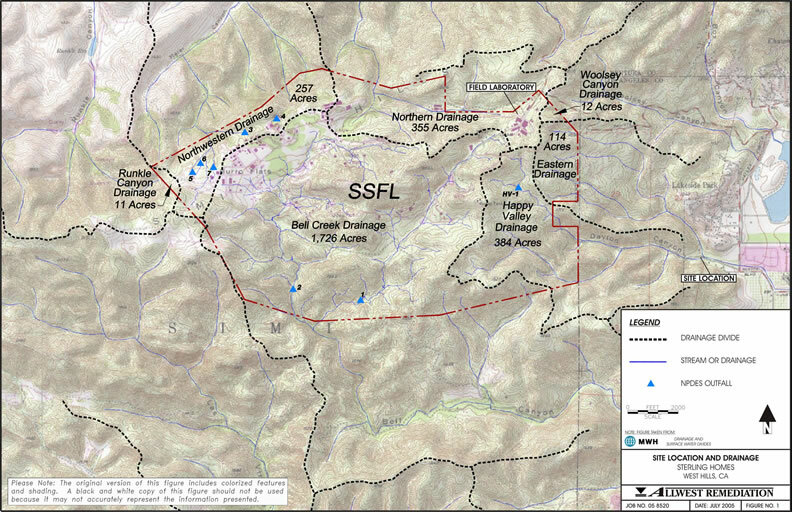 We need to know the truth about the contamination from the SSFL site. Hard to say what’s scarier – the contamination or the abuse of public process. Go go go, M.C.! Thanks again, Michael, for staying on the Runkle story, and uncovering all of the incompetence, denying, lying, greed, and disregard of potential harm to unknowing humans, by would be home builders, labs, real estate brokers,city officials and Government regulators who appear to have been looking the other way, in honor of the mighty dollar. All of this is really not only just a tale of greedy malfeasance and uncaring incompetence, it is really a story of a FELONY CRIME…..happening in very slow motion, before our very eyes. Again…we are grateful for the ongoing persistence and efforts of the Rangers, which includes you and Bill, and we are certainly glad that you have been able, so far, to keep any houses from being built and occupied on Runkle Canyon. Public officials selling out their own meal ticket. Let’s see how long they remain public officials. They could ask Norm Riley how that worked out for him. There is no public trust left to betray, and for good reason. Man, this is the nightmare that keeps on giving–some vested interest is going to decided that the only way to stop the dirt from being revealed is to bury Collins under a pile of strontium-90-laced dirt. Wow what a dynamite story. We would never know the whole story without Michael Collins. The coverup gets deeper and the news gets worse every day. I can’t imagine anything worse than having contamination in the drinking water, even if it is for the cows. You are doing a great job, reporting truths that needs to get out to the uninformed. I’ve tried several times to C&P, or capture to print, in order to pass the information to others who are uninformed. Unfortunately, your website is NOT PRINTER FRIENDLY. Is there a reason for this? As long as your website is given credit, and links are passed on with the printed material, you would get more traffic, and certainly you would be achieving your purpose (which I’m presuming is to spread the WORD). Major workarounds in order to print your articles; Perhaps you might want to allow for CUT and PASTE, or WORD friendly, or even PDF? Keep up the good work. I’d like to spread it around….